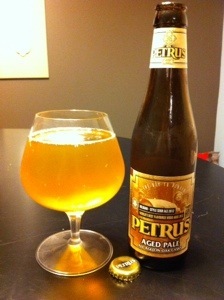 The Bavik website describes Petrus Aged Pale as “an undiluted old ale”. 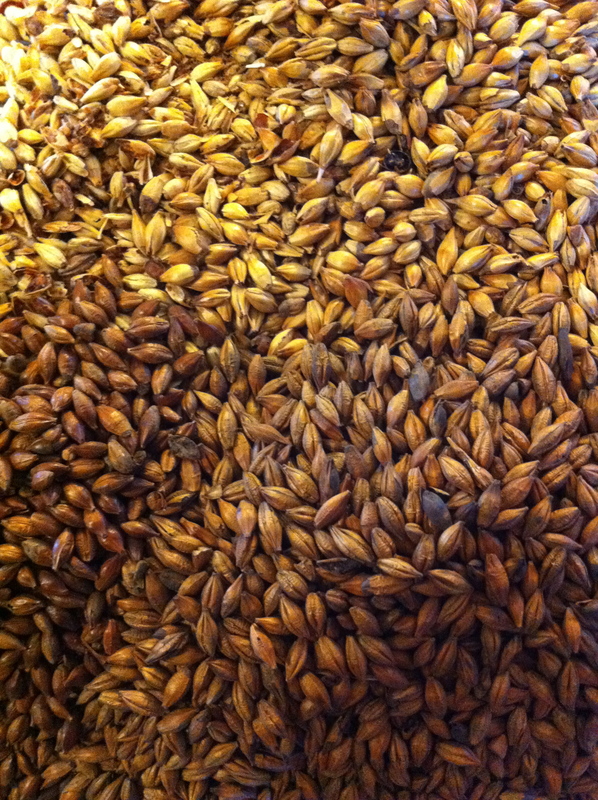 This is a variation on a Flanders Oud Bruin (Old Brown) – a traditional Belgian sour ale. Cloudy and pale with no head and lots of carbonation. Lemons, melons, leather, and apples. Bight and clean with some oak. Lemon aid, tart, leather, summer fruit, bright and clean with a small amount of oak. Light mouthfeel due to dry fermentation and high carbonated. A bit thin. Very easy drinking, refreshing, and just tart enough. Brilliantly clear. Dark copper, amber. Little head, settling to slight film that lasts. No lacing to speak of, but with 8.2% ABV that’s to be expected. Not a hop bomb. Citrus, grapefruit, earthy, with sweet-malt/caramel notes. Up front carmel sweetness with a firm enough bittering to balance. Citrus, grapefruit. Bittering doesn’t last on the tongue but is there long enough to cut the sweetness. Medium body with a fairly light carbonation. A good beer with a good balance. Fairly easy drinking, especially for 8.2%. 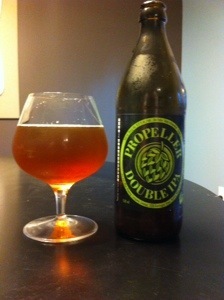 Not a hop bomb, but a good introductory beer for hop-head-wannabes.